Fast-paced ways of society have become the norm for many; the staccato sounds of the quick steps of professionals along concrete, the blur of thumbs wildly texting….. but for musician Tony Bragano it was more than the norm, it was a cause for inspiration. His Debut album, Take It Easy is a mix of adult contemporary groove-based sounds with a soft, spiritual undercurrent meant to encourage listeners to slow their pace, find a respite amidst the hustle and bustle of their day and, well, take it easy. “A lot of things these days are fast, big, overpowering, you see people rushing everywhere with a cell phone to their ear, this was my escape from all that. This album kind of goes against the grain a bit. It’s easy, it slows the pace,” Bragano said. Take It Easy features songs that beg for the listener to dim the lights and sip a glass of wine. 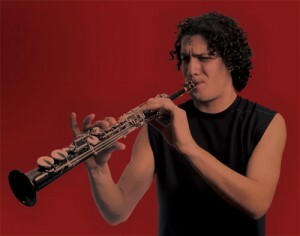 The album, composed along with fellow musician Eddie G. Del Rosario and featuring artists Mali Benvenutti, Andreux (Andres Herrera) Donald Ago, and Monique Demoulin, is a collection of smooth jazz songs in the style of Kenny G but infused with the sounds of Djembe drums provided by Herrera. Aside from the instrumental ballads the album also features three vocal pop tunes. Tony was first introduced to music at 14 years old when he used to watch his father play guitar. He persuaded his father to teach him how to play and began exploring a variety of instrumental creations. With a passion for learning new things, Tony next became drawn to a new instrument. His mother had a piano in the house and soon he was experimenting with and exploring another music world. That is, until one routine day driving to business school, listening to jazz radio, he heard the Soprano Saxophone. With the switch to a life led musically, Bragano has been able to define himself in a truer way and connect with people on a musically spiritual plane.